One of the most compelling and best known wildlife migrations in thew orld is the annual movement of millions of hoofed animals across the plains, hills and valleys of East Africa. Safari leader: Smita Srivastava, Director, Chalo Africa – zoologist, academician and safari planner. From December to mid-March every year, the female wildebeest gives birth to her young ones in the Ndutu area of Southern Serengeti. Arrive Kilimanjaro Airport. 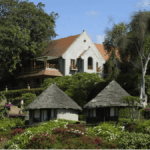 You will be met by guide and transferred to your lovely abode in Arusha. Depending on your time of arrival, you can explore this lovely little town known for its serenity, handicrafts and more. Alternatively, just enjoy the hospitality of your hotel. 1 Overnight at Lake Duluti Serena Hotel – Standard Room on a full board basis & complimentary teas/coffees with meals. Also included, private luxury vehicles and qualified guides. After breakfast, transfer to Arusha Airport to board your flight to arrive at Ndutu. Transfer from Ndutu Airstrip to Ubuntu Camp. 3 overnights at this high lux camp – Ubuntu Camp – full board accommodation, all drinks (except champagne, cellar wines, premium brand spirits), TANAPA Camping fee, laundry service, scheduled open vehicle game drives, walking safaris, hiking with well qualified guides, NCA Park fees, transfer from Serena Hotel to Arusha Airport, private chartered flight from Arusha Airport to Ndutu Airstrip, transfer from Ndutu Airstrip to Ubuntu Camp. After breakfast transfer from this beautiful camp to the Ngorongoro Conservation Area – a world heritage site! You will game drive your way to this area in your private luxury vehicle with your well-qualified guide. Have a nice picnic lunch on the way. Arrive at your hotel in time for dinner. Encompassing three spectacular volcanic craters, the Olduvai Gorge, huge expanses of savannah, forest and bush land, the Ngorongoro Conservation Area is the flagship of Tanzania’stourism industry. The Ngorongoro Conservation Area (NCA), measuring 8,300 square kilometres, is also the only place on earth where mankind and wild animals co-exist in harmony. The NCA became a Man and Biosphere Reserve in 1971 and was declared a World Heritage Site by UNESCO in 1979. 1 overnight at Ngorongoro Sopa Lodge on a full board basis and complimentary teas/coffees with meals. Also included your private luxury vehicle, well qualified guide, NCA Park fees and packed picnic lunch. A really early start today. You want to be the first one down into the crater – the best way to spend some quiet special moments with the wildlife. We will aim to leave at around 6 am (after breakfast) and descend into the crater. This is a world heritage site and absolutely spectacular in terms of wildlife viewing. A nice picnic lunch on the crater floor – more game viewing and then we will leave the crater and head towards “A sanctuary for the senses” – Gibbs Farm in nearby Karatu. 1 overnight at Gibb’s Farm – inclusive of accommodation, all meals, beverages (local non-alcoholic beverages and beers, standard spirits and house wines), laundry, farm based and local cultural activities, wifi. NCA fee, Crater descent fee, picnic lunch, private luxury vehicles and qualified guides. Gibb’s Farm offers a variety of activities to choose from. You could hear the dawn chorus, go for a morning bird watching trip, make bread, harvest vegetables, roast coffee, walk through the eight historic gardens, meet some of the artists in residence and so much more to choose from. Your day could be as lazy or active as you desire. Gibb’s is well known for its gourmet cuisine – indulge in a sumptuous breakfast and lunch before we leave for Arusha. 1 Overnight at Lake Duluti Serena Hotel – Standard Room on a half board basis, complimentary teas/coffees with meals. Also included, private luxury vehicles and qualified guides and breakfast and lunch at Gibb’s Farm. After breakfast at Lake Duluti Serena Hotel, transfer to JRO for your flight back home. Nestled at the foot of the wooded slopes of Mount Meru, this unique hotel stands amid coffee plantations on the shores of tranquil Lake Duluti. Designed to echo the traditional style of the colonial coffee farm, which originally stood on this site, Lake Duluti Serena Hotel offers a range of tastefully presented cottage-styled rooms set amid extensive landscaped grounds. Like the restless herds, Ubuntu Camp is a wanderer, forever moving with the seasons. From late July to October the camp is pitched in the northern Serengeti ahead of the migration. From December to mid-March it’s the southern Ngorongoro Conservation Area it calls home. And as the wildebeest migrate west so the camp moves too, always one step ahead of the herds. With this unwavering focus on the migration Ubuntu’s specialist guides are adept at bringing this unique natural spectacle to life. As a seasonal camp of eight tents, with two lounge/dining areas, Ubuntu is an intimate camp designed to be able to reach unexplored corners of the Serengeti. Fleet-footed enough to follow the herds, yet well equipped for a comfortable safari experience. Every tent has either twin or double bed, with flush toilets, running water and safari showers in en-suite bathrooms. • An intimate, traditional safari camp with warm hospitality. • Follows the migration each season ensuring the best locations for migration game viewing. • Migration specialist guides offer deeper insight and ensure guests are in the best place to view the action, away from the crowds. Facing the always magnificent sunsets to the west, and located at the highest point on Ngorongoro crater’s entire rim, Ngorongoro Sopa Lodge stands well over half a kilometre above the crater floor and offers unparalleled views across this enormous caldera. Voted Best Safari Hotel* in Africa, Gibb’s Farm imparts a sense of well-being, tranquility and history—deeply rooted in African culture and community—in a warm, rustic luxury environment. A peaceful sanctuary to rejuvenate the senses while on safari in Tanzania, the farm features cozy, well-appointed cottages, breath-taking scenery and wildlife and unique cultural activities that allow you to fully experience the rhythms and beauty of the farm, community and nature. Presented May 2011, The Safari Awards, Good Safari Guide. This safari tour begins and ends in Arusha, Tanzania.